Your home’s roof plays a vital role in protecting and insulating your home against the elements. Thusly, when it comes time to replace your roof, you may be overwhelmed by the prospect and the important decisions you will have to make during the process, as it is likely that your next roof will last as long as you live in your home. While it is critical that you take some time to research roofing contractors in your area in order to ensure that you find a roofer who will provide you with the highest quality services; before meeting with contractors you may also want to consider what type of roof you want in your home. While there are a variety of roofing options available including metal, clay tile, asphalt, and cedar roofs, the option that will be best for you will depend on a variety of factors including your taste, the style of your home, and your budget. However, for decades asphalt roofs have remained one of the most popular options amongst homeowners due to the wide variety of benefits they provide. 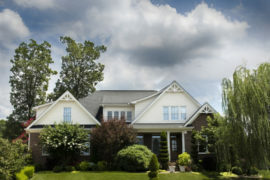 If you are trying to choose a new roof for your home, here are just a few of the benefits of choosing an asphalt roof. One of the most popular things about asphalt roofs is the sheer variety of color, texture and design options there are to choose from. Depending on the style and color of your house, as well as your unique preferences, you can choose a shingle that meets your needs and helps your home to stand out from the crowd. In fact, while many people think of roofing shingles as generic with a uniform shape and texture, variations are now available that mimic the shape of other materials such as slate and tile roofs. There are even asphalt shingles now that mimic the color and texture of cedar roofing, allowing you to create a classic look without the expense or fire threat. You will likely be surprised just how many variations on the traditional asphalt roof there are once you begin looking. Perhaps the biggest reason why asphalt roofs are such a common choice for homeowners is that they are extremely affordable. 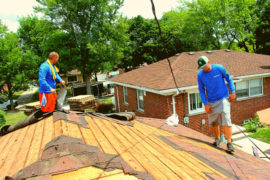 While getting your home’s roof replaced will likely not be cheap, some materials are much more expensive than others. If you need to replace your home’s roof but are on a budget and are looking for ways to keeps costs down, then an asphalt roof will likely be your best option. Not only are asphalt shingles an affordable roofing material, but they are also an extremely good investment in the future of your home due to the fact that– as we will look at below– they are durable and will protect your house for many years to come. Another reason for the popularity of asphalt roofs is that they tend to be much easier to install than other types of roofs. 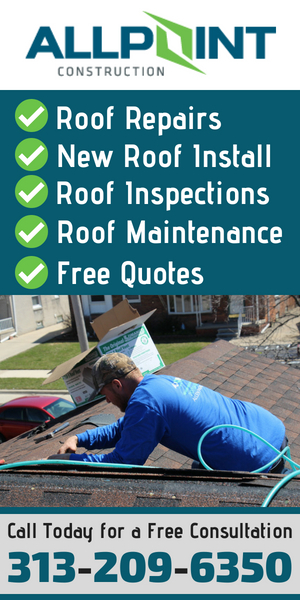 While how difficult it is to install a specific roof may not seem like something you should be concerned about, as roofs should always be professionally installed in order to ensure the job is done properly, quick installation can have benefits for the homeowner. A quicker roofing job means that your life will be less disrupted by construction and that there will be less of a chance that the weather will interfere with the installation process. Additionally, a short install often translates to a cheaper install as you will not have to pay for as many man-hours. The difficulty of installing a roof, and how this can affect your timeline and budget, is then something you should take into consideration when picking out a new roof. When considering how a roofing material could affect the overall cost of your project, you must also take material weight into consideration. Certain roofing materials such as ceramic tiles and slate shingles are particularly heavy. This can be problematic as your roof’s decking and trusses may not be able to support the weight of these hefty materials. When this happens, new decking and trusses have to be added in order to support and reinforce the new roof. This requires additional, costly materials to be purchased, and when combined with the additional labor required to reinforce the roof, choosing a heavy material can greatly increase the cost of a roofing installation. This is why asphalt shingles are such a popular choice amongst homeowners, as this is an extremely lightweight roofing material that can help to further keep costs down during a roofing installation. Asphalt shingle roofs are also popular due to their extreme durability. Modern asphalt shingles are manufactured to be extremely resilient and can withstand even the most extreme weather including wind, rain, snow, and heat. In fact, when expertly installed and properly maintained, a modern asphalt roof can last 25 years or more. If you live in an area that experiences extreme weather conditions, some roofing manufacturers now even make asphalt shingles that are rated to withstand hurricane force winds and the heavy impacts that debris carried by these winds can cause. Of course, as with any roof, it is critical that you properly maintain it in order to ensure its longevity. Having your roof professionally inspected annually, and having any damage that may occur after heavy storms repaired, will be critical in ensuring that your roof is able to shield your home from the elements for decades to come. If you have been living with an aging roof for a while now, then you may not even realize how much money you could be losing due to a lack of insulation. As your roof ages, it loses its insulating properties, which means that heat is able to easily escape your home during winter, or enter during summer, which could be costing you greatly on your utility bills. While having a new roof installed will help to save you money heating and cooling your home, choosing an asphalt shingle roof, in particular, will go a long way to reduce the cost of cooling your home in the summer. The fact is that asphalt roofs absorb less heat than other roofing materials as they do a better job of deflecting sunlight. This means less heat transfer into your home will take place, helping to keep your home cool. Speaking of insulation, asphalt roofs also help to offer protection from external noise. Their excellent sound dampening qualities means that you will be less likely to be disturbed by noisy neighbors or by that bird that likes to sit on your roof and make noise in the morning. When installed properly, an asphalt roof can provide excellent protection against sound infiltration. Asphalt is also a great choice for homeowners who are concerned about their impact on the environment and want to choose a more sustainable roofing option. One of the great things about asphalt shingles is that asphalt can be easily recycled once your roof reaches the end of its usable life. In fact, unlike other materials such as plastics which degrade after repeated recycling, asphalt does not suffer from this problem. In fact, asphalt roofing materials can easily be repurposed and used to build roads after being removed from a home, and there are now companies is most urban areas that specialize in recycling these materials. This means that at the end of its usable life very little from an asphalt roof will end up in a landfill, making asphalt roofs a smart choice for the sustainably minded homeowner. Homeowners also love asphalt roofs due to the fact that they require very little maintenance. Due to their longevity and durability, there is little you will have to do to take care of your roof after it has been installed. 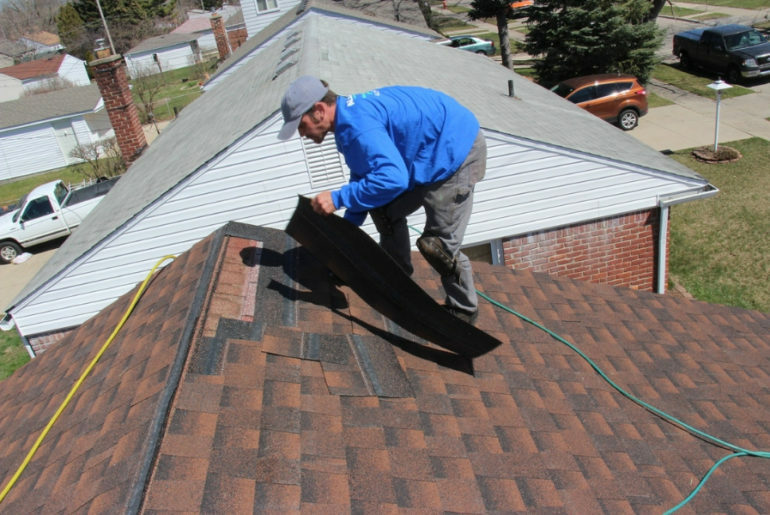 Even in the unlikely event that a shingle becomes damaged, broken, or gets blown off in a particularly severe storm, asphalt roofs are extremely easy to repair. 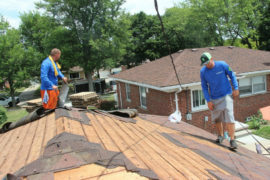 However, it is important that damage is not ignored, and that repairs are carried out by a professional roofer, as properly fixing repairs in a roof is critical in order to ensure that your roof is properly sealed against the element and will be able to continue to protect your home for many years to come. After looking at the benefits asphalt roofs provide homeowners with, it is clear why asphalt shingles are one of the most popular roofing materials used. Not only are these roofs affordable, but they also provide the durability you want in a quality roof, and they come in enough designs and styles that there is sure to be an asphalt shingle that will meet your needs. However, each type of roofing material has its own pros and cons, and determining what roofing material will work best for your home will depend on a variety of factors. 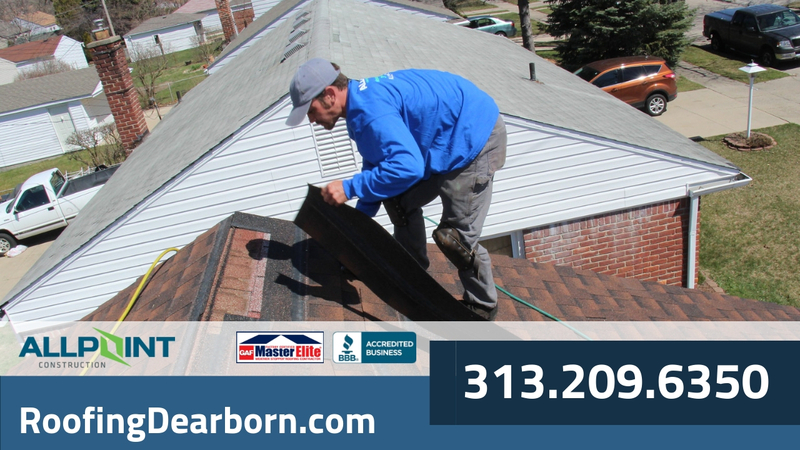 Contact us if you are still uncertain what type of roof would be best for your Dearborn Michigan home, we have the knowledge and expertise to help you choose the right roofing material to meet your needs.